Prepare the short-crust pastry and bake. While it is baking, clean and cut the fruit into thin slices. After removing the short-crust pastry from the oven, decorate it with fruit placed on spiral with blueberries or little currents (the eye wants its part). Prepare the jelly by melting the agar-agar in two fingers of applesauce and put it on the stove with the remaining juice heated. Simmer for a few minutes and then turn off. Let it rest a bit before pouring over the tart: solidifies as it cools down. 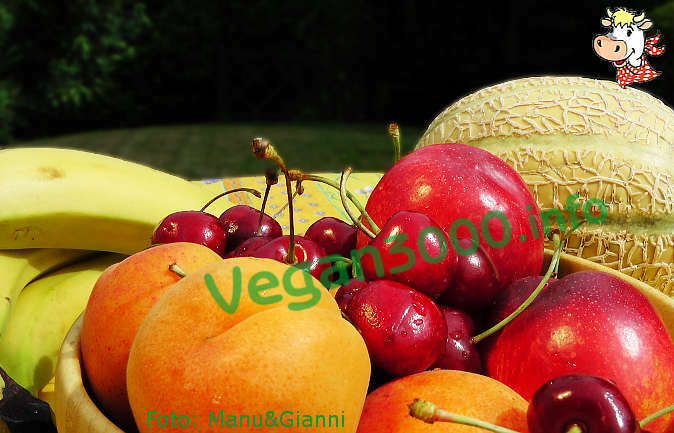 Provate a mettere anche delle fragole e poi si che sarà perfetta!! !